Virtual reality, connected cars, e-sports, the on-demand economy - all are becoming important elements in the Southland economy, and all are poised for rapid growth in 2016 - along with some challenges. And then there's Snapchat Inc., based in Venice, and one of the most highly valued companies currently competing in the latest venture-capital-juiced start-up cycle, which many believe is way overheated. The popular disappearing chat and video app needs to create predictability for investors to increase the odds of going public at a valuation exceeding the $16 billion at which it's supposedly valued. That includes steady growth in sales. Group chats: Snapchat users must individually select message recipients. Snapchat Chief Executive Evan Spiegel has said eschewing group messaging was intended to make people think deeply about who they are sharing their lives with. But he's got to keep users thirsting for group chats happy, so expect some streamlined sharing. Changing tunes: Spiegel is big on music, and has a long-stated interest in helping aspiring musicians and artists. How that translates into chat features is unclear, but expect Snapchat to introduce at least one big thing around sounds. For one, Spiegel can't ignore the smashing success of Dubsmash, an app that dubs selfie videos with popular sound clips. It's soared in big countries including India. Snapchat's foray might be a voice alteration feature. Growing local: Snapchat has hired aggressively for a "Live Stories" team that organizes user-generated videos into categories like holiday celebrations in London or summer lake parties. But the company can hire only so many "content analysts" without labor costs running wild. Expect Snapchat to begin producing videos aimed at more regional audiences, like surfacing videos from individual towns, by using computer analysis to group content. Shopping data: Snapchat could better compete with YouTube by making publicly shared user posts searchable, leveraging data about what users are talking about to target ads, and just allowing people to link out to their websites. It's unlikely that any of that is coming from a company that expresses queasiness about snooping into too much user data. But mounting pressure from advertisers is likely to get Snapchat to create some sort of method for users to buy non-Snapchat goods and services through the app, maybe through celebrity and brand accounts only. Camera upgrades: The camera screen, through which users can see the scene they're about to capture, is the most-seen feature on Snapchat. Literally, the app opens up to the camera every time. Snapchat now charges users to animate their faces on the camera. Expect more features along that line, ranging from special fonts to object recognition. Just this year, Apple, Nokia, Netflix, the New York Times, GoPro, the Discovery Channel and even toy maker Mattel introduced loads of hardware and content for immersive technology - a burgeoning market segment that includes virtual reality, augmented reality and other means of putting users in an alternate universe, usually with the aid of computer-connected goggles. Expect 2016 to be even bigger. 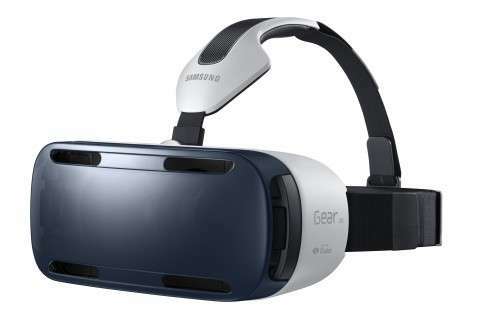 Right now, Samsung's Gear VR is the only major brand with a headset available to consumers. But come next year, Sony's Playstation VR, Facebook's Oculus Rift and HTC's Vive are expected to be released and rumored to range in price from about $300 to $1,500. Moviemakers are investing in more sophisticated immersive equipment. Many were rigging cameras together to capture the 360-degree view. Now Nokia is introducing a $60,000 camera called the Ozo specifically for high-quality virtual reality content. The challenge will be finding enough games, movies, TV shows and other software to make the technology compelling. Remember when 3-D glasses were supposed to be the next big thing? On that front are game makers like Ubisoft Entertainment, which is developing "Eagle Flight" for Sony Playstation VR, which allows players to control an eagle over an abandoned Paris, overgrown with trees and vegetation. German software developer Crytek is producing a game for Oculus Rift, "The Climb," a harrowing adventure in which users climb dangerous mountains and rock faces. And Samsung's Gear VR - the most affordable of the major headsets at $100 apiece - is amping up existing mobile games such as "Temple Run" with the VR treatment. Beyond games, the New York Times' partnership with Google Cardboard demonstrated the medium's potential in journalistic storytelling. Meanwhile, Apple released a U2 music video in VR. Kinks remain - namely, dialing-down the vomit factor when getting disoriented wearing one of the headsets. And here's hoping there's a way to one day look less dorky strapping a plastic block to your face. Great video game players have competed against others for years with money or trophies at stake. But now that millions of people are watching those e-sports contests in big arenas and other venues, entrepreneurs are perking up. In 2016, the e-sports industry will see a huge burst of investment and rapid professionalization, analysts say. Video game competitions will begin running on cable network TBS on Friday nights, sponsors will increase tournament prizes, and those scheming entrepreneurs will try to cash in quickly just in case e-sports turn out to be a fad. For now, industry experts are optimistic that they're onto the next $1-billion sport. 1. NBA star LeBron James just signed a lifetime endorsement deal with Nike worth more than $500 million. A video game player won't be getting a contract that sweet, but how about a multiyear deal of at least $10 million? It's possible, says Koh Kim, co-head of business development at game-streaming app Mobcrush. Expect 2016 to provide a good case study of whether someone like "League of Legends" great Sang-hyeok Lee, known as Faker, can move U.S. consumers. 2. E-sports will get a lot more data savvy, says Kevin Lin, chief operating officer of Twitch, the leading app for videos about playing video games. Event organizers will understand viewers better and make data-driven expansions into markets such as Latin America. Game publishers finally will track how viewership translates to sales. And they'll use the data to innovate marketing, crowdfunding drives and other business initiatives. They'll maybe even get into building arcades and arenas for e-sports. 3. North America's four major sports leagues each has a players union; expect players in one of the top e-sports league to unionize to create fairness in pay and working conditions, says Dennis Fong, founder of e-sports video start-up Raptr and a former professional player. Whether it's Internet-connected cars or self-driving vehicles, the very definition of an automobile is changing dramatically. Car industry analysts portray a world in which cars transform into entertainment hubs and people won't have to get driver's licenses anymore. It'll be years before you can ditch your car and rely on a fleet of on-demand driverless vehicles, but the auto revolution will continue to make big strides in 2016. California leads the development of autonomous cars, advanced green vehicles and automotive software, including Google's and Apple's growing automotive operations; it's also home to ride-hailing apps Uber and Lyft. The state's aggressive environmental regulation and generous electric car subsidies have nurtured companies such as Tesla and its emerging rival, Gardena electric car company Faraday Future. To kick off the New Year, Faraday is scheduled to show off a prototype of its first electric car at the Consumer Electronics Show the first week of January. The trade show, historically focused on consumer electronics, in 2016 will devote more than 200,000 square feet - up from 150,000 last year - to automotive technologies. Still, for all the buzz and potential, there are numerous tensions at play. Detroit, long the auto capital of the country, for years resisted the bridging of the car and tech sectors. Although it has come around - it didn't have much choice - the convergence of Silicon Valley and Detroit continues to be a work in progress. And Wednesday, California's Department of Motor Vehicles introduced draft rules for public use of driverless cars that would require a licensed driver to be in the vehicle, among other regulations. Google has already voiced its disappointment with the proposed restrictions. If 2015 was the year the on-demand economy became a mainstay in California, 2016 could be the year the business model powering services such as Uber, Lyft, and GrubHub unravels. Come June 20, 2016, the business model of using independent contractors to fulfill on-demand service such as taxiing passengers, cleaning houses and delivering meals will quite literally be put on trial when a class-action lawsuit against Uber over worker misclassification goes before a jury in a U.S. District Court. Other businesses, such as Lyft and DoorDash, face similar lawsuits. The class actions argue that many workers in the on-demand economy have been misclassified as independent contractors, effectively stripping them of rights to overtime, expense reimbursements and other benefits. Many workers want to be recognized as employees - benefits and all - a proposition that start-ups are balking at because, in addition to the costs involved, it would require a complete business model overhaul. The outcome of the class actions could determine the direction in which the on-demand economy heads, although Uber has expressed confidence that it can win the lawsuit and the issue will soon be laid to rest. Not everyone shares that confidence, though. A number of start-ups in California, such as meal delivery services Munchery and Sprig, on-demand valet service Luxe Valet and grocery delivery service Instacart have already transitioned their workers from independent contractors to employees.